Let’s start off the new year by getting into some kind of a retro- and introspective mood. As a wedding industry service provider, I often get asked for tips when people are organizing The Biggest Day of their Lives. Now, although I have developed several definite opinions on a vast number of wedding related subjects, I’ll stick to something where I actually know what I’m talking about – wedding photography. 1. Just because someone says that they know what they’re doing, it doesn’t mean they do. Any photographer who is worth paying a lot of money for their service, will have accumulated a large enough portfolio to enable prospective clients to get a good feel of their capabilities. If there is no website, online portfolio or anything of the sort, don’t even consider booking them. A Facebook Page does not equate a website! 2. Check printing. Even if you do not plan to choose a package which will include printing, ask to see some physical examples of albums or other similar hard copies. Cyberspace covers a multitude of sins, and one can tweak a photo to the next level if it only needs to appear on a computer screen, but any and all flaws are amplified in large format printing. 3. References. Remember, this is essentially a job interview, so any good photographer won’t mind giving references of other couples who have used their services. This is a safety net for you, the client. Unfortunately, people steal, and photography is no exception. Some talent-deficient individuals will buy stock images (or just steal some) to pass of as their own work, but if they are legitimate, some past client will be happy to say so. Even if you don’t actually phone up a random stranger, the eagerness of the photographer to assist you with this should be a dead giveaway. 4. Organization. Photographers are an artistic lot, and most of us didn’t get into photography because we’re great at making lists and remembering birthdays. That being said, there is a basic level of organizational competence a client is allowed to expect from his or her wedding photographer. I am seldom in the same time zone as my phone, especially when shooting, resulting a large amount of missed calls. I do, however, phone back every single person when I return to planet earth, and often request that we rather use mail or other electronic communication. Any well-mannered person will get back to you or give some indication of their availability for consultations. They will also be prompt with quotations, invoices or other administrative issues. No one wants to worry whether their photographer will remember to pitch on the day! 5. The weather. Yes, I am the weatherman. I have come to accept that the week before a wedding the bride, best man, a mother or SOMEONE will constantly phone me about the weather forecast for the big day. I go into full reassuring, psychology mode, because a happy and calm bride = good pictures. The key, however, is I speak the absolute truth to them. I have spent a great amount of money in order to be able to cope, come rain or shine. You should ask your photographer if they have the equipment and experience to handle low lighting situations and poor natural conditions. 6. Get a meeting. Insist on meeting, in person preferably, your photographer prior to the event. 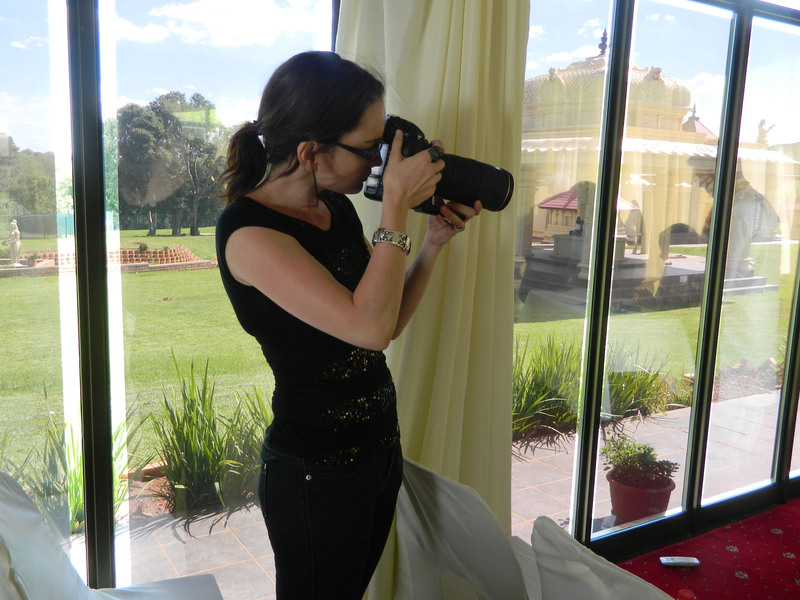 Especially the bride will be spending more time with the photographer on the wedding day than with the groom. If you feel that there may be a personality clash, save both you and the photographer and awkward day and find someone you like. Now, in order to be a wedding photographer, you need to have a few screws loose. Luckily I haven’t seen any kinds of screws, nuts or bolts of mine in years. It is a high stress, one chance, slightly thankless job. You see yourself as an artist hired to capture the precious memories of a couple celebrating their love. Most guest will treat you like the hired help who gets paid to stay out of everyone’s way. But here’s the catch: Happy photographer = good pictures! 1. Planning. Personally, I ask for a complete plan or schedule of the day. This allows me to plan my day with the assistant so that I can spend my hours wisely and get the maximum opportunities. If the couple has planned the day well and provide everyone involved with the details, we all have an easier time. Essentially, it is something a bride does for herself, because then she can relax and know that the photographer will be ready for those special moments. 2. Parking. I know it sounds silly, but I’ve spent so much time looking for parking at venues or houses, being yelled at by neighbours and so on, that I can write a whole book on it. Especially if there’s more than one venue I have to travel to during the day, it frees up my time to do my job if someone thought to organize space for me to park. 3. Punctuality. Although all schedules are guidelines and not rules, wasting everyone’s time by arriving two hours late at the reception because the bride wanted to shower to refresh after the ceremony, is simply not civilized. (That, by the way, REALLY happened to me!) Yes you paid everyone for their service, but making people wait for no reason won’t buy you any goodwill or favours. 4. Food. And Chairs. Now I’ve done weddings where I had to ask the barman for a chair after spending 14 hours on my feet, before having to beg the kitchen staff for a slice of bread because the bridal couple didn’t feel like extending the courtesy of actually feeding me. Subsequently it is a requirement in the contract clients of mine must now sign, but I really think that this should go without saying. Hypoglycaemic photographers do not equal good pictures. 5. Group photos. This is the bane of my existence. Every aunt or distant cousin LOVES posing for a family shot, wasting valuable time I could spend photographing the bridal couple. Keep the list short and be ruthless about the family photo’s. These are not the ones you are going to print for your home, but images of you and your partner are. 6. Relax about when you’ll get the images. Most photographers will indicate how long you can expect to wait for the finished product. Don’t bug them before the said time has lapsed. Personally, I spend HOURS on post-processing the brides to look like models for VOGUE, but if you bother me for a “sneak peek” before the time I said I’ll be done, I tend to just want to finish the job so that I can have some peace and quiet. And finally, some general tips for everyone regarding wedding photography . . .
1. A suit that is too big doesn’t look great, but if the groom wears one a size too small, he’ll look fat. Nothing I can do about it. 2. If you’re a guest, don’t stand in front of the hired professional photographer when the bride arrives or during another important moment just so that you can get an image on your smartphone. Seriously, what will they or you do with that? Enjoy the moment, and allow the professional to do what they get paid to do. 3. If you’re in the bridal party, be nice to the photographer. Remember that if you were rude to me on the day, I am going to remember it. The photographer gets paid to make the bride look like a model, not you. If it’s 3 AM and I have to make the decision about whether I should spend time to edit the bridesmaid to perfection or get some sleep, how you treated me on the day will determine which way that choice will go! 4. Yes, I know you have a camera at home and you think you know something about taking photo’s, but don’t bug the photographer with tips and suggestions. He or she’s doing the wedding, not you. I still think weddings are wonderful occasions which should be enjoyable for everyone. In the end it all boils down to common, old-fashioned good manners. And that, my mother always says, is international!